During this brief period, the veteran and the government were seen on two sides on many occasions. THIRUVANANTHAPURAM: CPM veteran V.S. 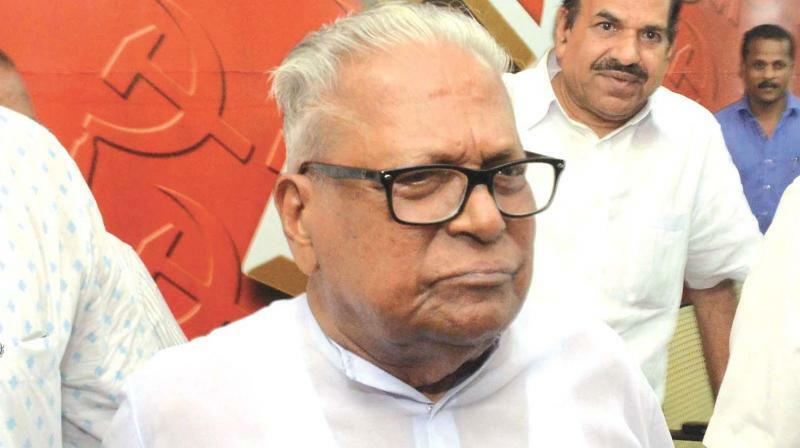 Achuthanandan said the time had not yet come for evaluating 100 days of the LDF Government. When asked about his reaction on the performance of the government, the veteran said, “the time for assessing the performance has not yet come.” During this brief period, the veteran and the government were seen on two sides on many occasions. Achuthanandan had opposed the appointment of M.K. Damodaran and Gita Gopinath as advisors to the chief minister. On the latter’s issue he had even sent a letter to the central leadership alleging that the appointment was against the party’s stand on neo liberal policies. The veteran had also shot off a letter to chief minister asking him to reconsider the decision to remove Susheela Bhat, senior Government Pleader (Revenue) saying that it would weaken the cases against land mafia. He had also openly criticised the stand taken by standing counsel on the ice cream parlour case in Supreme Court. The veteran who is set to take over as chairman of Administrative Reforms Commission, had also intervened to ensure speedy reopening of shut cashew factories.